Discussion in 'Solo' started by SWNN Probe, Sep 7, 2018. When Solo: A Star Wars Story released earlier this year, fans were excited to see an assortment of deep cuts of lore and Easter eggs from across the Star Wars universe. 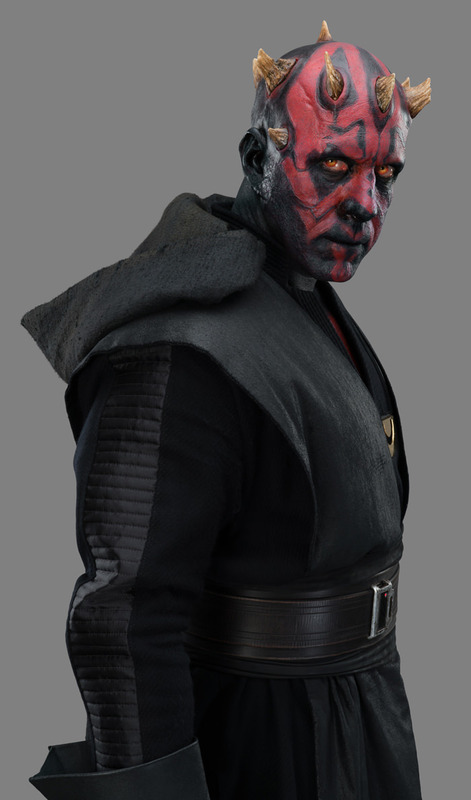 The most exciting surprise for many fans however was the return of a fan favorite, Ray Park's former Sith apprentice Darth Maul, even if it was only a hologram. 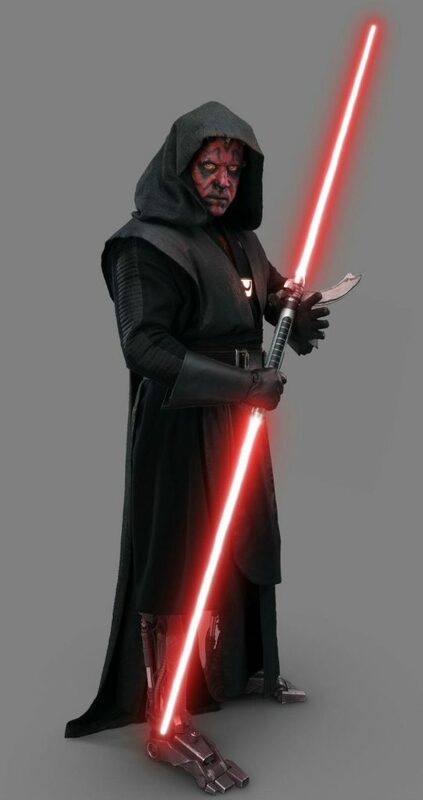 With the release of Solo: A Star Wars Story on Movies Anywhere, Blu-ray and 4K later this month, Lucasfilm (via Forbes) has released images of Ray Park in full Maul costume with the robot legs. 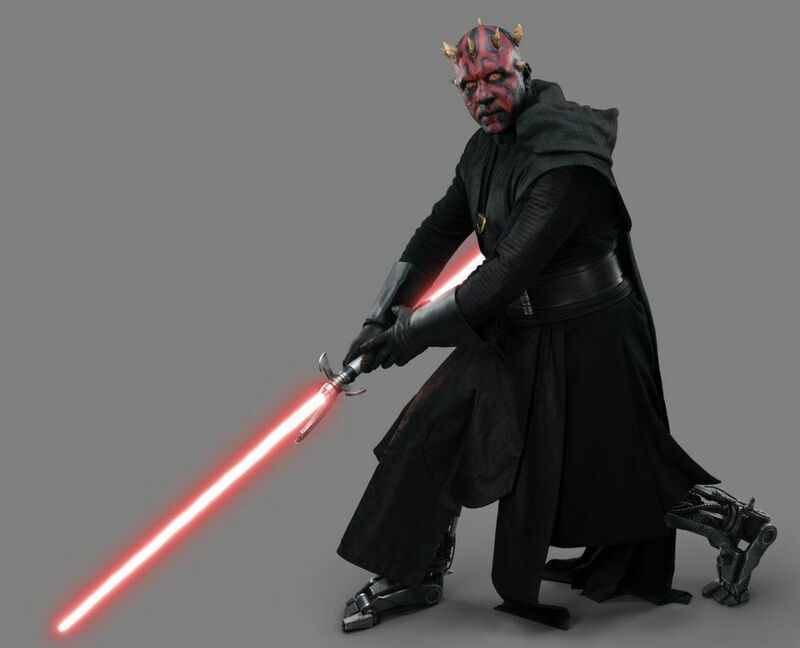 Darth Maul originally appeared in The Phantom Menace as the primary antagonist, only to be cut down at the hands of Obi Wan Kenobi near the end of the film. Fans of The Clone Wars and Rebels animated series know that Maul (no longer Darth) survived being cut in half by Obi Wan and returned with robotic legs seeking vengeance. It turns out that around the time of the directorial change from Phil Lord and Chris Miller to Ron Howard, Park received a phone call about potentially returning for Maul. 'I found out last June/July when we were in Guatemala. I got the phone call from Lynne Hale from Lucasfilm. And it was really nice of her, because she said to me 'Ray, we're just calling to see if you would like to do it.' And I went [inhales slowly] 'Yeah. Do you want me on the plane now? '” Park ended up filming his scenes in October towards the end of production on Solo. Park was a choreographer for The Phantom Menace and as such, had full access to the entirety of the script. It was a bit different this time around since he only had a few speaking lines and 'a couple of sheets of what was going on beforehand, and then what was happening, and it's pretty cool, because Sam [Witwer] did the voice and it was a different process for me. It was hearing the voice and then acting as well, so I really enjoyed this experience.' Park was also pleased with his lightsaber upgrade even though he only ignites it in the cameo. Why his robotic toes are so funny to me? Agreed lol, they do look Star Warsy though.. they look like they were taken from a droid? The toes are logical - I guess he wouldn't be able to use his feet the normal way without them. Damn those are beautiful, I've been waiting since the movie came out for an official look at Ray Park and this does not disappoint. His lightsaber has hints of Obi-Wan's hilt! This is cool! Great work by the makeup department. I know it's only a minuscule amount screen time and a few photos, but Ray nailed it. There's just something super irreplaceable about him, you'd completely lose the character if it was someone else. These pictures are a surprise to be sure, but a welcome one. Great pics! They did a good job with his horns this time, looks better than TPM.